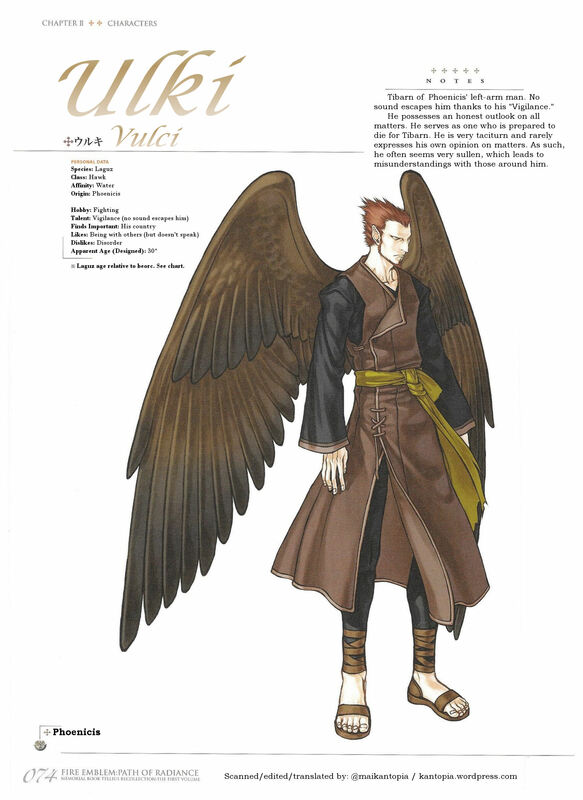 This post features Stefan, a returning character from Path of Radiance. 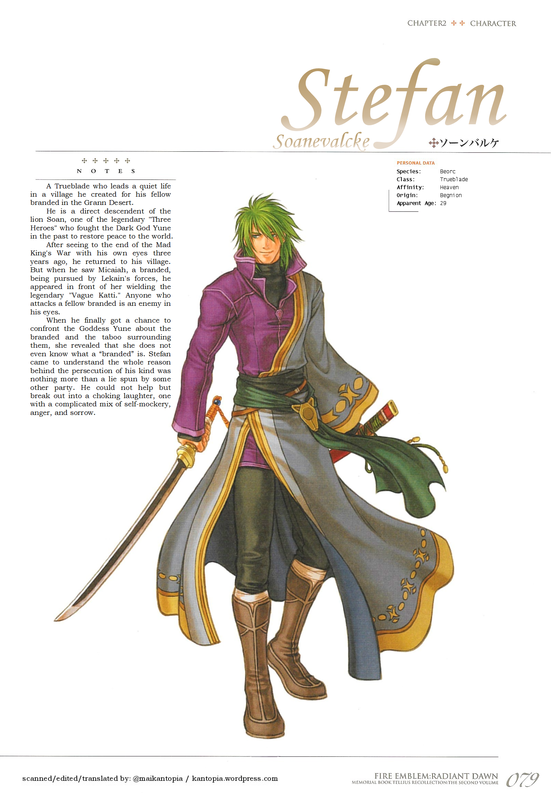 This post is part of my ongoing translations of the Fire Emblem: Path of Radiance Memorial Book: Tellius Recollection (Vol 1). 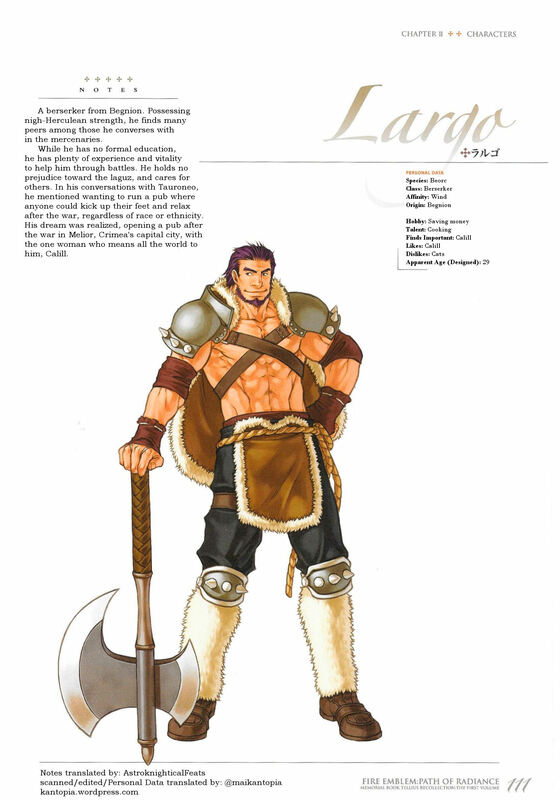 This post is a character profile of Largo (page 111). The notes were translated by AstroknighticalFeats (of serenesforest.net) and the profile data by me. Original scans/Japanese are not posted, but are available by request. Please donate! It helps fund future projects! 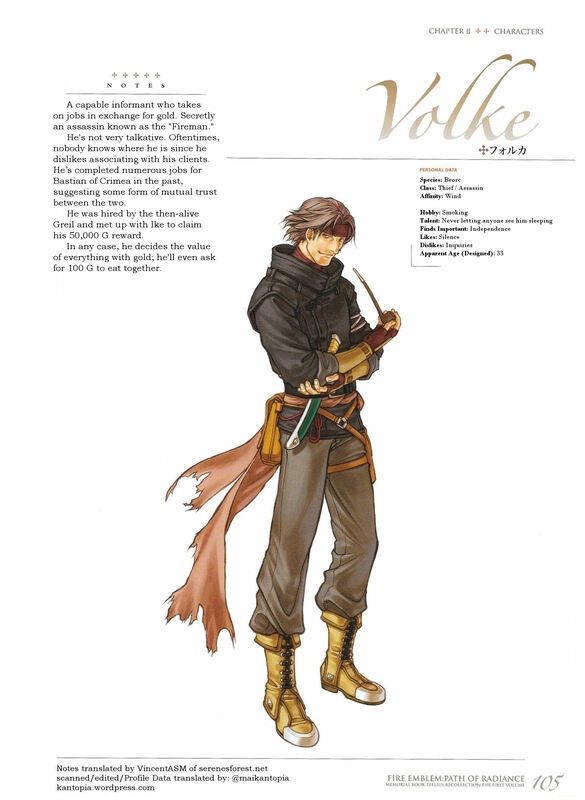 This post is a character profile of Volke (page 105). VincentASM of serenesforest.net translated the notes section, and I did the profile data. 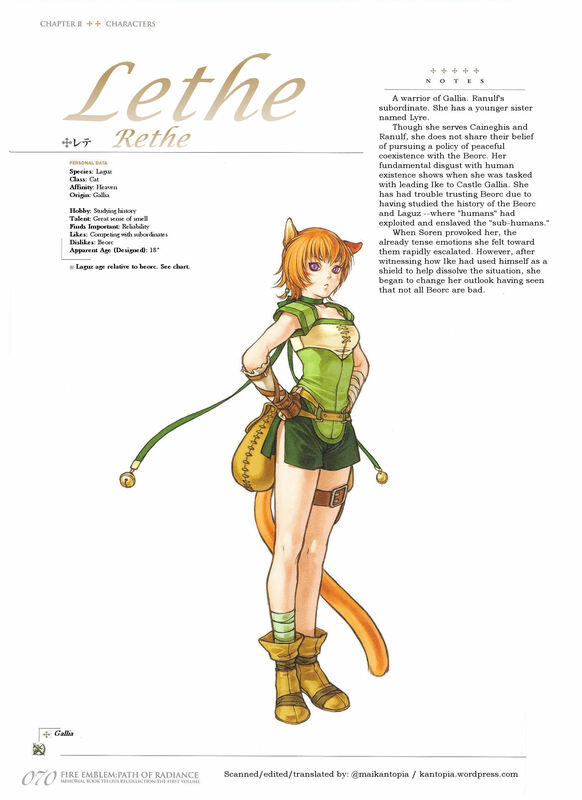 This post is a character profile of Lethe (page 70) that was done/prioritized by request! 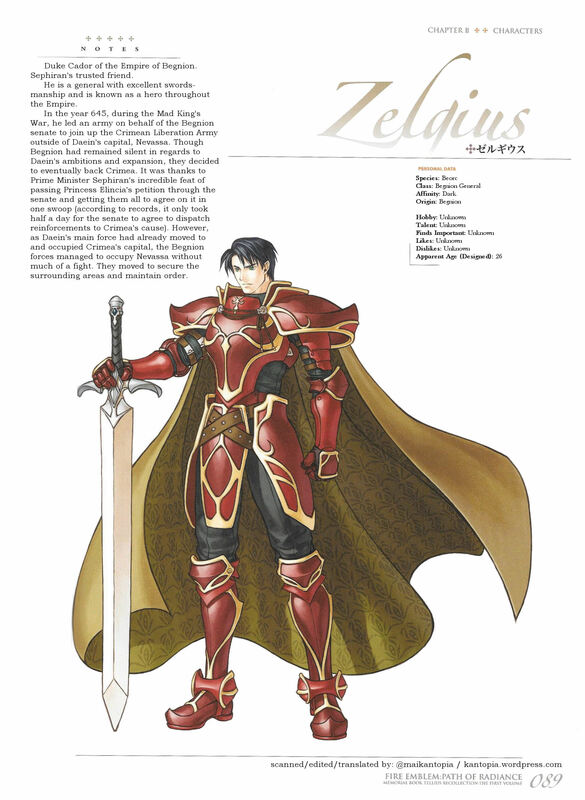 This post is a character profile of Zelgius (page 89) that was done/prioritized by request! This post is a character profile of Ulki (page 74) that was done/prioritized by request! 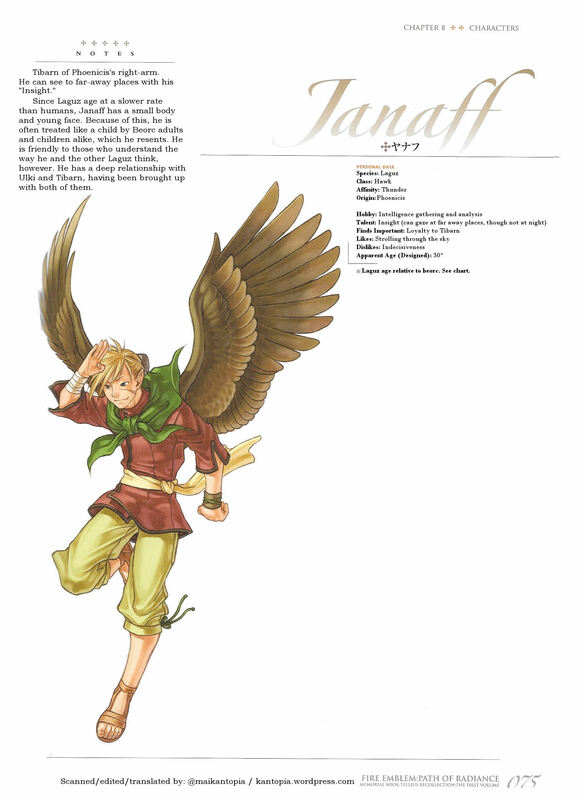 This post is a character profile of Janaff (page 75) that was done/prioritized by request!